In 1910 industrial workers in Barcelona formed the anarcho-syndicalist trade union, the National Confederation of Trabajo (CNT). Although the CNT operated as a trade union, it also contained subgroups such as Solidarios, a terrorist group led by Buenaventura Durruti. In 1921 Miguel Primo de Rivera banned the CNT. It now became an underground organization and in 1927 an inner-core of activist established the Federación Anarquista Ibérica (FAI). The FAI was strong in Catalonia and Aragón and members made several unsuccessful attempts to assassinate Alfonso XIII. The FAI took part in several unsuccessful uprisings including Casas Viejas (January 1933), Saragossa (December 1933) and Asturia (October 1934). It is also estimated that the FAI was responsible for the assassinations of about 150 members of the Falange Española. In the 1936 Elections the FAI urged anarchists to support the Popular Front in order to defeat the extreme right-wing. After the victory of the Popular Front activists such as Buenaventura Durruti, Federica Montseny and Juan Garcia Oliver helped to establish communes and workers' committees. On the outbreak of the Spanish Civil War members of the FAI helped to establish the Antifascist Militias Committee in Barcelona. The committee immediately sent Buenaventura Durruti and 3,000 Anarchists to Aragón in an attempt to take the Nationalist held Saragossa. The FAI also saw military action in Catalonia and Valencia. In September 1936, President Manuel Azaña appointed the left-wing socialist, Francisco Largo Caballero as prime minister. In an attempt to get the full support of the anarchists Largo Caballero brought into his government members of the FAI and CNT, Juan Garcia Oliver (Justice), Juan López (Commerce), Federica Montseny (Health) and Juan Peiró (Industry). At the beginning of November, 25,000 Nationalist troops under General Jose Varela had reached the western and southern suburbs of Madrid. Five days later he was joined by General Hugo Sperrle and the Condor Legion. This began the siege of Madrid that was to last for nearly three years. 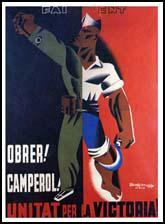 On 14th November Buenaventura Durruti arrived in Madrid from Aragón with 5,000 men. He immediately went to the frontline where the Manzanares River passed through the University of Madrid. On 19th November, 1936, Durruti was shot by a sniper from one of the upper stories of the Hospital Clinic. Durruti died the following day. Durruti's supporters later claimed that he had been killed by a member of the Communist Party. The CNT and FAI remained strong in Barcelona. 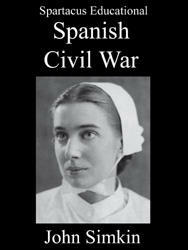 In May, 1937, they were attacked by the Assault Guard and the Civil Guard. With the support of the NKVD, the Communist Party now became the dominant force in the city. The Popular Front government attempted to bring the FAI dominated Anarchist Brigades under the control of the Republican Army. At first the Anarcho-Syndicalists resisted and attempted to retain hegemony over their units. This proved impossible when the government made the decision to only pay and supply militias that subjected themselves to unified command and structure. It is an inhuman injustice that a man should keep for himself wealth produced by others or even a part of the earth which is as sacred to humanity as life is for the individual; because it has its origin in a violent and criminal exploitation of the stronger against the weaker, creating the odious existence of parasites, living on the work of others; because it creates capitalism and the law of salaries which condemns man to a permanent economic slavery and to economic disequilibrium; because it is the cause of prostitution, the most infamous and degrading outrage that society inflicts on the human conscience, condemning woman to make the object of commerce an act which is both the purest and the most spiritual known to humans. We are against the state because it restrains the free unfolding and normal development of ethical, philosophical, and scientific activities of people and because it is the foundation of the principles of authority and property through the armed forces, police and judiciary. Today I again had a long conversation with Companys. He proposed to form a local government in this way: half Esquerra, half CNT and UGT. He said that he would reserve for himself finance and the police. After my words on the fact that the anarchists' lack of personal responsibility would interfere with manufacturing, he declared that he "agreed" to put a Marxist at the head of industry. He called Oliver a fanatic. He reproached the PSUC for not answering the terror of the anarchists with the same. On the conduct of the Catalan militia in Madrid, he said that that was the FAI-ists and that the national Guardia and the Esquerrists would fight anyone. He said that Madrid itself wanted the CNT militia, while not hiding the fact that the latter left to "establish order in Madrid." He advised sending them back from Madrid. The whole time he cursed the FAI. He knew that I was going from him to the CNT and was very interested in how the FAI-ists would converse with me. He requested that I communicate the results of the conversation with him. He complained that the FAI-ists were against Russia were carrying out anti-Soviet propaganda, or more accurately, carried out but that he was our friend, and so on. A steamship, even if it held only sugar would soften his heart. Life in Malaga goes on calmly enough on the surface. There are, of course, the burned houses and the flags, and one sees fewer well-dressed people than in ordinary times. Only foreigners wear a tie, for ties are now the sign that one is a "senorito." The letters U.G.T., C.N.T., U.H.P., F.A.I., and a good many more denoting the various parties are painted on walls, on cars and lorries, on trees, on any surface that will take them. One cannot buy a melon in the market-place that has not got some initials scratched on it. There are also a good many militia about, dressed in their new uniforms of blue cotton overalls with red armlets. The Committee system which come into existence in Spain when popular feeling, impatient of corrupt and incompetent bureaucratic methods, demands some outlet in action. But there is one committee new to Spain - the Committee of Public Health and Safety, - which came into existence on the day on which the Governor left the city, the 12th of this month. It is the Spanish equivalent of the Russian Cheka. Here is a brief description of the workings of the committees in general. At the head is the Comité de Enlace, or Union, which decides the general policy. It is composed of twenty members, one of whom is the Governor, who seems otherwise to have only nominal powers, and it supervises all the other committees, those of Supply, of Labour, or Transport, of War, of Public Health and Safety, and so on. All the various parties of the Left, from Republicans to Anarchists, sit on these committees, and my impression of their work is that they are remarkably efficient. The ordinary machinery of Spanish local government could never have done half as much. The Committee of Public Health and Safety investigates charges of hostility to the regime, provides safe conducts, organises search parties for wanted people, and shoots them. In five days it shot well over a hundred people in Malaga alone. To begin with it shot some thirty prisoners who were kept on a ship in the harbour. Some of these were senior police officers who refused to join the Government; others were prominent people of the Right; one was a marquesa caught using a private transmitting set. They were taken to a cemetery and shot. Then came the people who were dragged out of their houses at night, put in cars, driven off to some quiet road, and killed there. Their only crime as a rule was affiliation to the Ceda, the Right Catholic party, or their having offended some workman or other. Some of these people have been killed with shocking violence. One I saw had his head bashed in; another who had not died at the first volley had had his throat cut; others had their fingers, ears, or noses sliced off, after death, of course; they are cut off to be taken away as trophies. The men who do this belong to the F.A.I., the anarchist organisation which is so extended in Barcelona and Saragossa and also provides the shock troops and gunmen for the Fascist party, Falange Espanola. They buy them by giving them work at good wages, with extra payment for assassinations, and as the membership of the Falange is secret they often remain at the same time both Fascists and anarchists. But there has been a great change in the last few days. The anarchist bands who were dragging harmless people out of their houses after midnight and shooting them have been put down. Some have been shot, and militia patrol the streets and have orders to fire on any cars with armed men in them whom they see about after midnight. No one can be arrested and no house searched without a warrant signed by the Governor. The Committee of Public Safety have advisory powers only. Another change is that red flags have been forbidden, and, except in some of the poorer quarters, the only colours now to be seen are the Republican. The explanation of this is that there has been a tightening up of the "Popular Front" in Madrid. The Governor of Malaga, who had just returned from a conference there, told me that an agreement had been arrived at between the Republican parties and the Socialist and Communist parties, with all their affiliated bodies, by which any form of Communism or dictatorship of the proletariat was entirely ruled out. It seems hardly worth while, in the shambles that Spain is becoming, to deny any stories of atrocities. Yet I would like to say that reports published in the English papers of nuns led about naked in the streets of Malaga are the purest invention; on the contrary, they were taken either to the Town Hall for safety or to their own houses and were treated with perfect respect throughout. Sisters of Charity still go about the streets in their uniforms. Those killed are killed brutally but quickly; the truth by itself, without ornaments, is bad enough. Yesterday some bombs were dropped in Malaga. A tank of oil and a smaller supply of petrol were set on fire, making a prodigious blaze, but other bombs that fell on a popular quarter killed about forty people and wounded a hundred and fifty, mostly women and children. If Germans had been living all over London during the last war and if the whole of the police and almost every soldier had been at the front I think there might have been some lynchings after air raids. And, in fact, a mob marched that evening to the prison, took out forty-five prisoners, and shot them. Those who point to atrocities of this sort on the Government side often forget the provocation and the circumstances. When soldiers and police have to go to the front because other soldiers and police have rebelled, who is left to keep order among an enraged population? Roughly speaking, the C.N.T.-F.A.I. stood for: (1) Direct control over industry by the workers engaged in each industry, e.g. transport, the textile factories, etc. ; (2) Government by local committees and resistance to all forms of centralized authoritarianism; (3) Uncompromising hostility to the bourgeoisie and the Church. The last point, though the least precise, was the most important. The Anarchists were the opposite of the majority of so-called revolutionaries in so much that though their principles were rather vague their hatred of privilege and injustice was perfectly genuine. Philosophically, Communism and Anarchism are poles apart. Practically - i.e. in the form of society aimed at - the difference is mainly one of emphasis, but it is quite irreconcilable. The Communist's emphasis is always on centralism and efficiency, the Anarchist's on liberty and equality. Anarchism is deeply rooted in Spain and is likely to outlive Communism when the Russian influence is withdrawn. During the first two months of the war it was the Anarchists more than anyone else who had saved the situation, and much later than this the Anarchist militia, in spite of their indiscipline, were notoriously the best fighters among the purely Spanish forces. From about February 1937 onwards the Anarchists and the P.O.U.M. could to some extent be lumped together. If the Anarchists, the P.O.U.M. and the Left wing of the Socialists had had the sense to combine at the start and press a realistic policy, the history of the war might have been different. But in the early period, when the revolutionary parties seemed to have the game in their hands, this was impossible. Between the Anarchists and the Socialists there were ancient jealousies, the P.O.U.M., as Marxists, were sceptical of Anarchism, while from the pure Anarchist standpoint the 'Trotskyism' of the P.O.U.M. was not much preferable to the 'Stalinism' of the Communists. Nevertheless the Communist tactics tended to drive the two parties together. When the P.O.U.M. joined in the disastrous fighting in Barcelona in May, it was mainly from an instinct to stand by the C.N.T., And later, when the P.O.U.M. Was suppressed, the Anarchists were the only people who dared to raise a voice in its defence. So, roughly speaking, the alignment of forces was this. On the one side the C.N.T.-F.A.I., the P.O.U.M., And a section of the Socialists, standing for workers' control: on the other side the Right-wing Socialists, Liberals, and Communists, standing for centralized government and a militarized army. A secret F.A.I. - Federacion Anarquista Iberica - circular of September 1938 pointed out that of 7,000 promotions in the Army since May 5,500 had been Communists. In the Army of the Ebro out of 27 brigades, 25 were commanded by Communists, while all 9 divisional commanders, 3 army corps commanders, and the supreme commander (Modesto) were Communists. This was the most extreme case of Communist control, but the proportions for the Anarchists were nearly as depressing elsewhere. In all six armies of Republican Spain the Anarchists believed the proportions to be 163 Communist brigade commanders to 33 Anarchists, 61 divisional commanders to 9 Anarchists, 15 army corps commanders to 2 Anarchists (with 4 Anarchist sympathizers), and 3 Communist army commanders, 2 sympathizers and one neutral. I have seen from the moment of my first arrival in Spain in September 1936 that our comrades in Spain are plunging head foremost into the abyss of compromise that will lead them far away from their revolutionary aim. Subsequent events have proved that those of us who saw the danger ahead were right. The participation of the CNT-FAI in the government, and concessions to the insatiable monster in Moscow, have certainly not benefited the Spanish revolution, or even the anti-fascist struggle. Yet closer contact with reality in Spain, with the almost insurmountable odds against the aspirations of the CNT-FAI, made me understand their tactics better, and helped me to guard against any dogmatic judgment of our comrades. 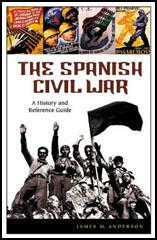 The revolution in Spain was the result of a military and fascist conspiracy. The first imperative need that presented itself to the CNT-FAI was to drive out the conspiratorial gang. The fascist danger had to be met with almost bare hands. In this process the Spanish workers and peasants soon came to see that their enemies were not only Franco and his Moorish hordes. They soon found themselves besieged by formidable armies and an array of modern arms furnished to Franco by Hitler and Mussolini, with all the imperialist pack playing their sinister under-handed game. In other words, while the Russian Revolution and the civil war were being fought out on Russian soil and by Russians, the Spanish revolution and antifascist war involves all the powers of Europe. 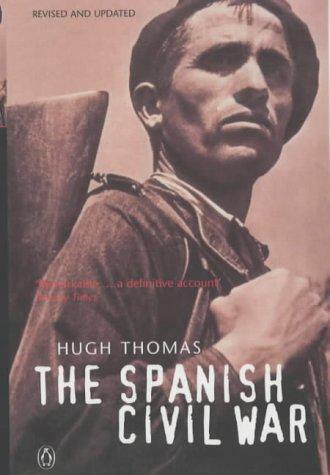 It is no exaggeration to say that the Spanish Civil War has spread out far beyond its own confines. Of all the unfortunate concessions our people have made, their entry into ministries seemed to me the least offensive. No, I have not changed my attitude toward government as an evil. As all through my life, I still hold that the State is a cold monster, and that it devours everyone within its reach. Did I not know that the Spanish people see in government a mere makeshift, to be kicked overboard at will, that they had never been deluded and corrupted by the parliamentary myth, I should perhaps be more alarmed for the future of the CNT-FAI. But with Franco at the gate of Madrid, I could hardly blame the CNT-FAI for choosing a lesser evil - participation in the government rather than dictatorship, the most deadly evil. Russia has more than proven the nature of this beast. After twenty years it still thrives on the blood of its makers. Nor is its crushing weight felt in Russia alone. Since Stalin began his invasion of Spain, the march of his henchmen has been leaving death and ruin behind them. Destruction of numerous collectives, the introduction of the Cheka with its 'gentle' methods of treating political opponents, the arrest of thousands of revolutionaries, and the murder in broad daylight of others. All this and more, has Stalin's dictatorship given Spain, when he sold arms to the Spanish people in return for good gold. Innocent of the Jesuitical trick of 'our beloved comrade' Stalin, the CNT-FAI could not imagine in their wildest dreams the unscrupulous designs hidden behind the seeming solidarity in the offer of arms from Russia. Their need to meet Franco's military equipment was a matter of life and death. The Spanish people had not a moment to lose if they were not to be crushed. What wonder if they saw in Stalin the saviour of the antifascist war? They have since learned that Stalin helped to make Spain safe against the fascists so as to make it safer for his own ends. The critical comrades are not at all wrong when they say that it does not seem worthwhile to sacrifice one ideal in the struggle against fascism, if it only means to make room for Soviet Communism. I am entirely of their view - that there is no difference between them. My own consolation is that with all their concentrated criminal efforts, Soviet Communism has not taken root in Spain. I know whereof I speak. On my recent visit to Spain I had ample opportunity to convince myself that the Communists have failed utterly to win the sympathies of the masses; quite the contrary. They have never been so hated by the workers and peasants as now.